The BIN File format is a rather an old file format which has a lot of applications including disc images. The ISO has taken its place in modern software – but there might be some places where you can still encounter BIN files. ‘BIN’ stands for binary and these files are compressed binary packages. BIN files contain raw sector-by-sector copies of the entire disc. BIN files do not actually contain files and folders, but it is a copy of raw data. 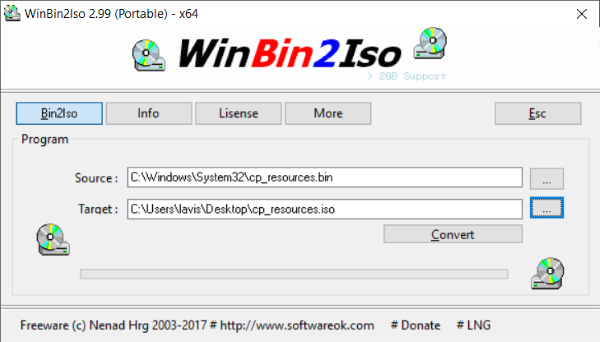 BIN files can be used to regenerate the entire source disc, and they can preserve information like bootable information, volume-attributes and other system specific details. To view the contents of a BIN file, you need to burn it to a disk or mount it virtually. BIN format has also been widely used to store raw image data, and you might be looking to convert it into a more usable JPEG/JPG format. In this post, we’ve covered some of the BIN to ISO and BIN to JPG converters available – both online and offline.